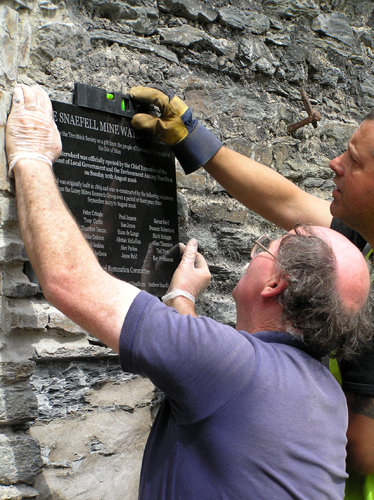 Above: Mike fits the new granite plaques specially produced by Pooil Vaaish Quarry. 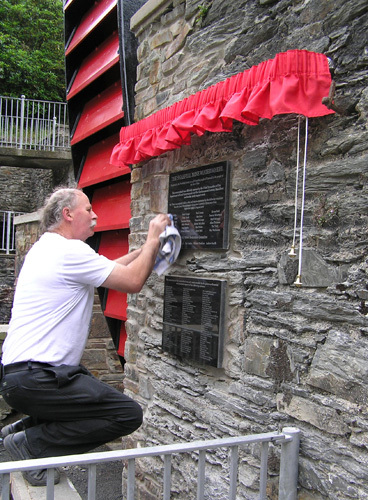 Above: Tony checks the level. 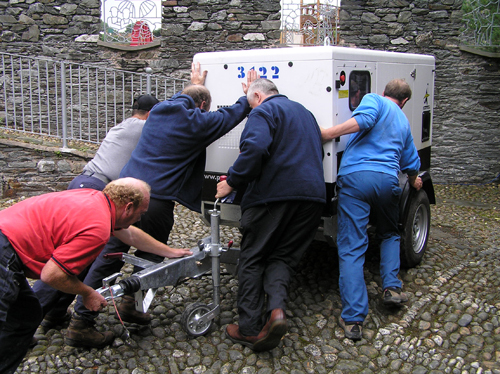 Above: The 30 kilowatt generator supplied by Ace Hire and Sales is moved into position. This will be the main power source for the event. 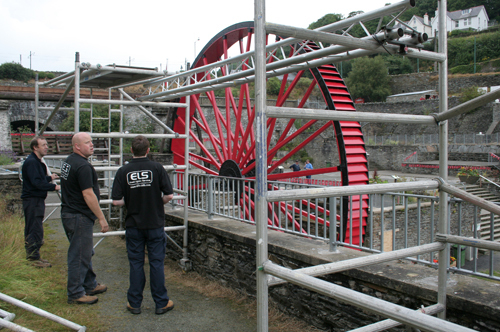 the gantry that will support all the lighting. 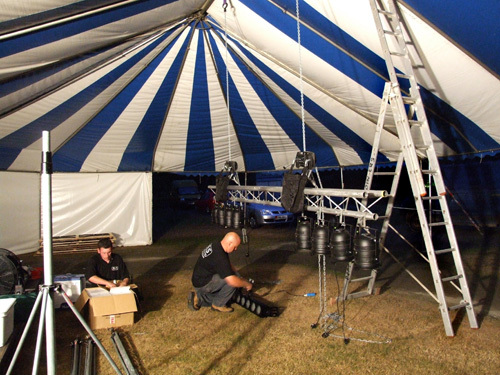 which was supplied by Island A3 Marquees. 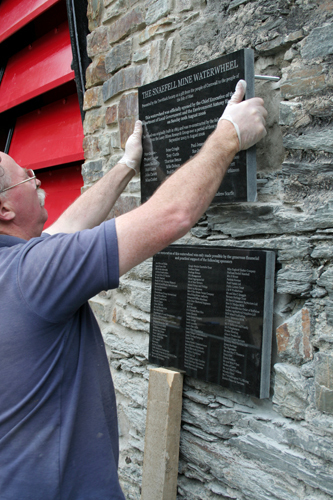 Above: Dobby gives the plaques a final polish before the curtains are fitted.